David Barnes, photo by Scott Lapham. 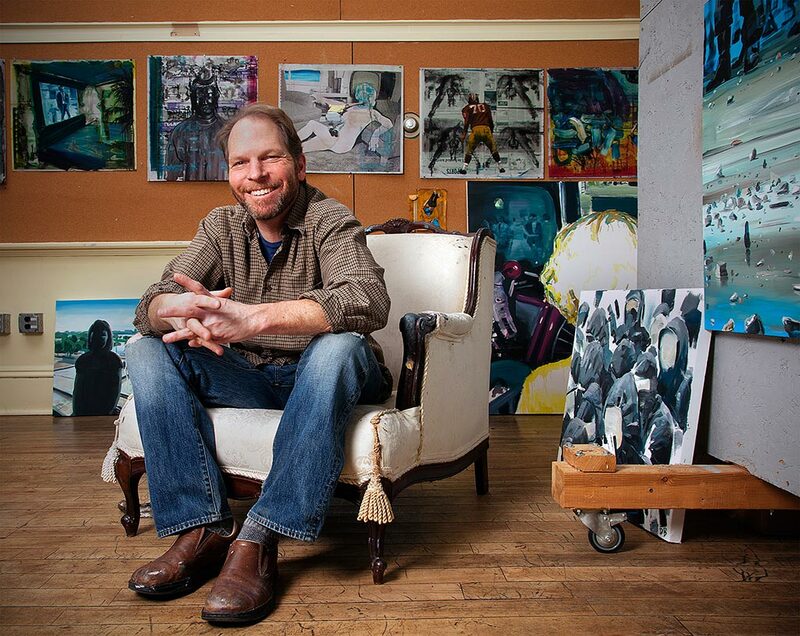 David Barnes is a Newport artist with a long trajectory of success as a painter and teacher in Rhode Island. He received a BFA from the University of New Hampshire and an MFA from the University of Massachusetts, Dartmouth. 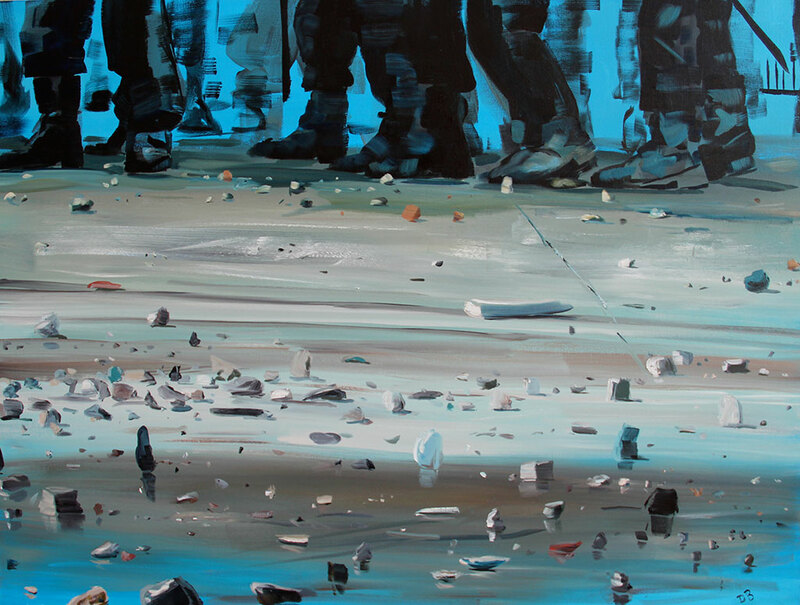 His recent paintings have reflected his interests in the art historical past as well as the technological, fast-paced present—particularly the Internet. Barnes has shown his work in several shows at the Newport Art Museum, twice winning Best-in-Show at the Newport Annual; he has exhibited in Providence at 5 Traverse and the Providence Art Club; and at the Virginia Lynch Gallery and Candita Clayton Gallery among other venues. 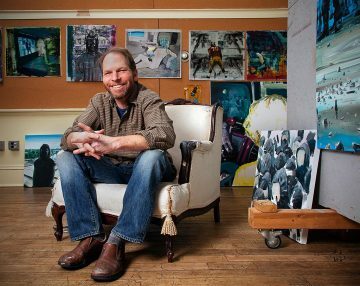 He has taught at the school of the Newport Art Museum for many years and currently teaches at Bristol Community College, Fall River.